Do you remember Jurassic Park? When Dr. Malcom, the mathematician, shared his thoughts on why it’s unwise to have T-rex and friends romping around on an island, John Hammond promised that precautions were already taken to make sure that nothing will go wrong. 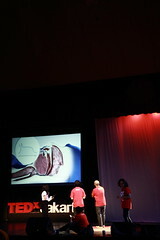 Dr. Malcom replies with disagreement. “Life finds a way,” he said. 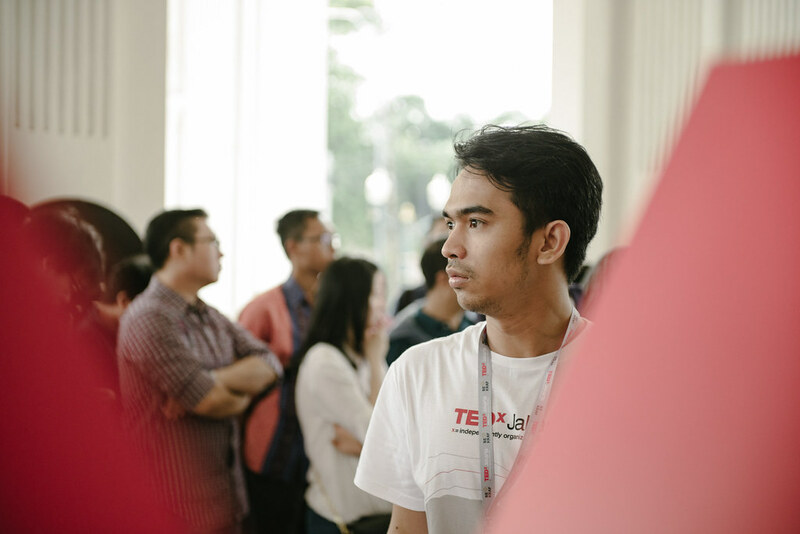 As a human, we encounter chaos, irregularities and conflicts daily. Just as our life in this city, our existence is comprised of countless probabilities and risks. 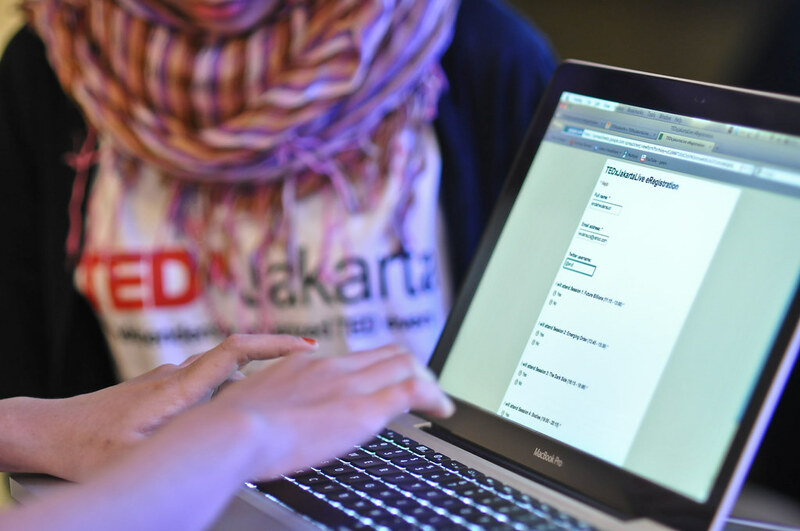 It’s rooted in our common sense to plan ahead, to anticipate. 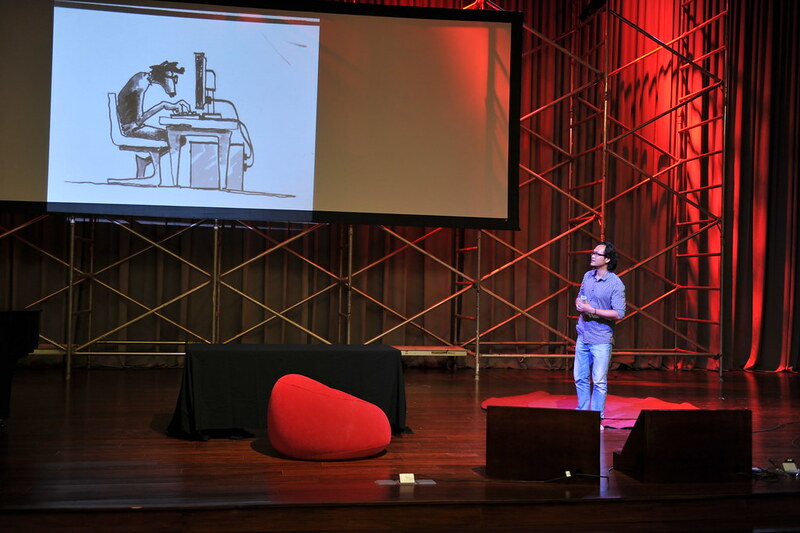 We try to weigh as many variables as we can in hope to overcome all randomness. We try to calculate the potential liabilities in order to dilute all damage controls. 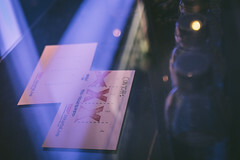 We try to predict the unpredictable. 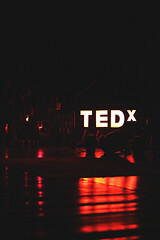 The world is changing fast. 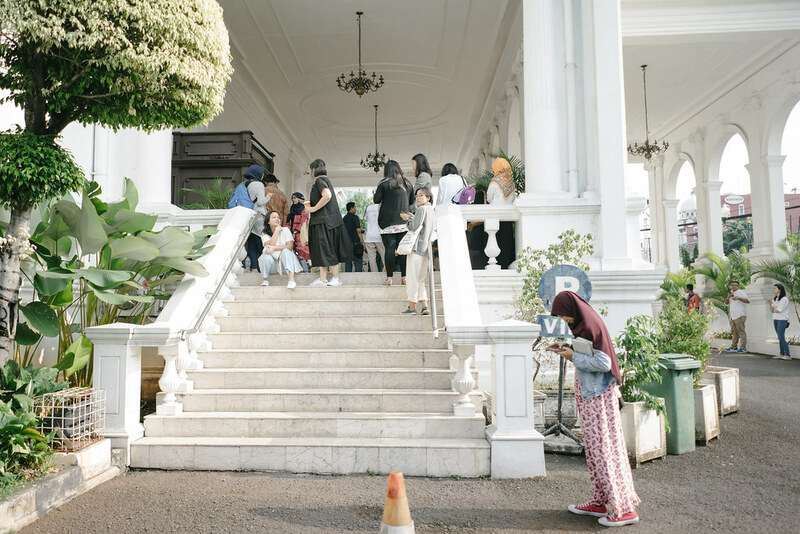 Fresh thinking can be found in every direction, in emerging geographies. 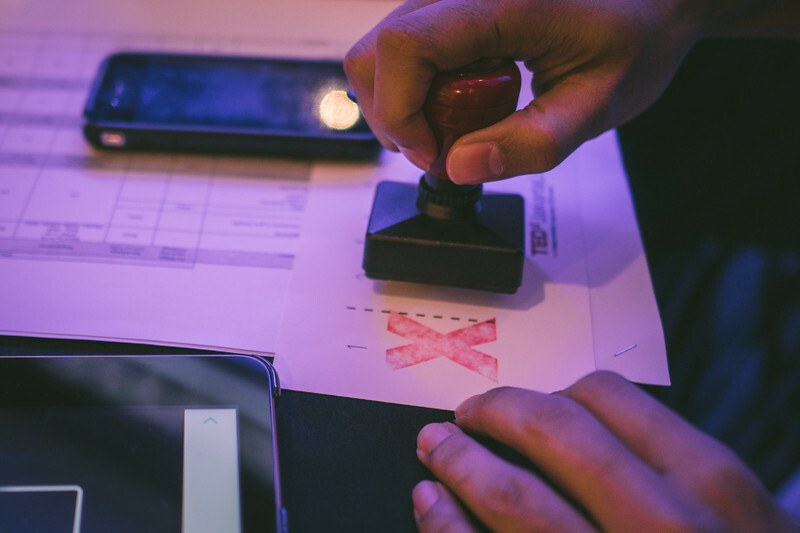 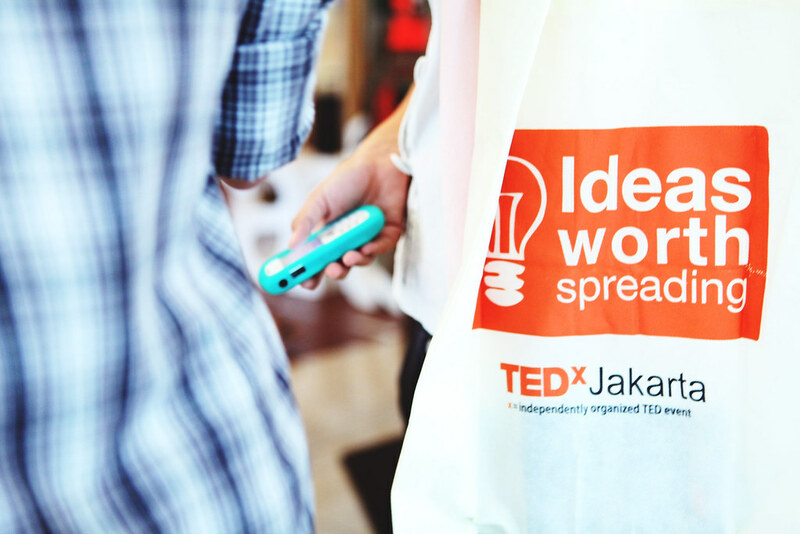 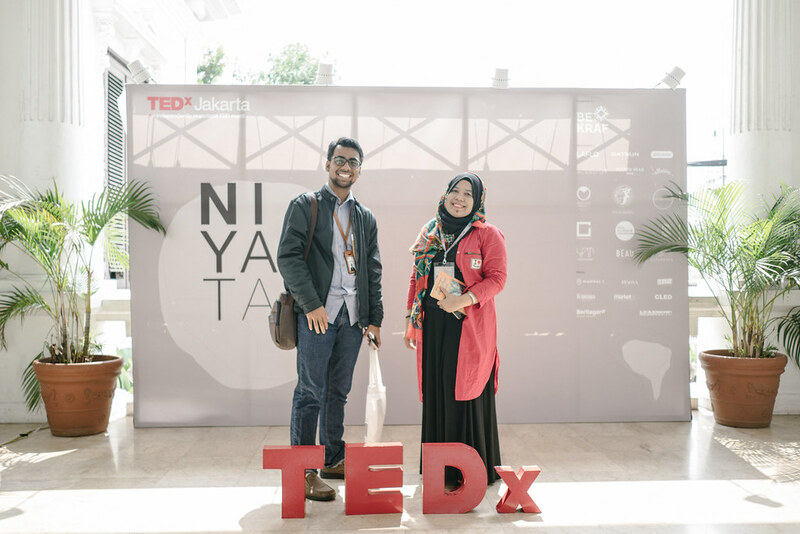 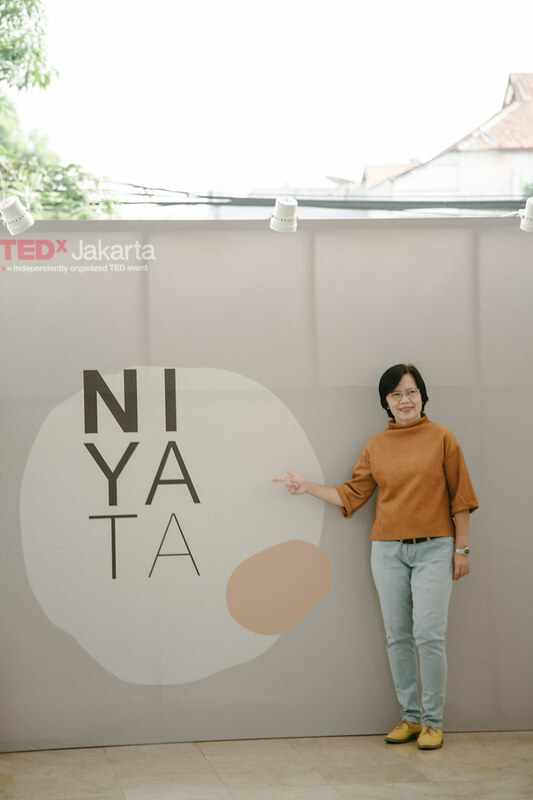 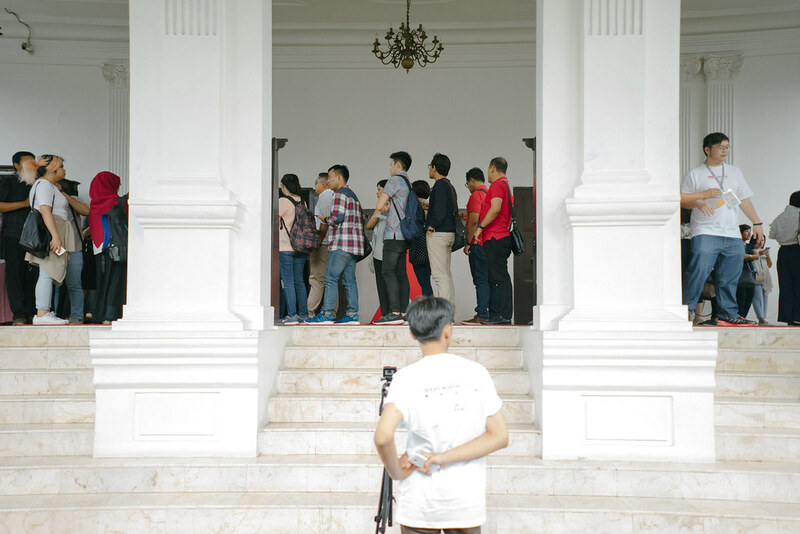 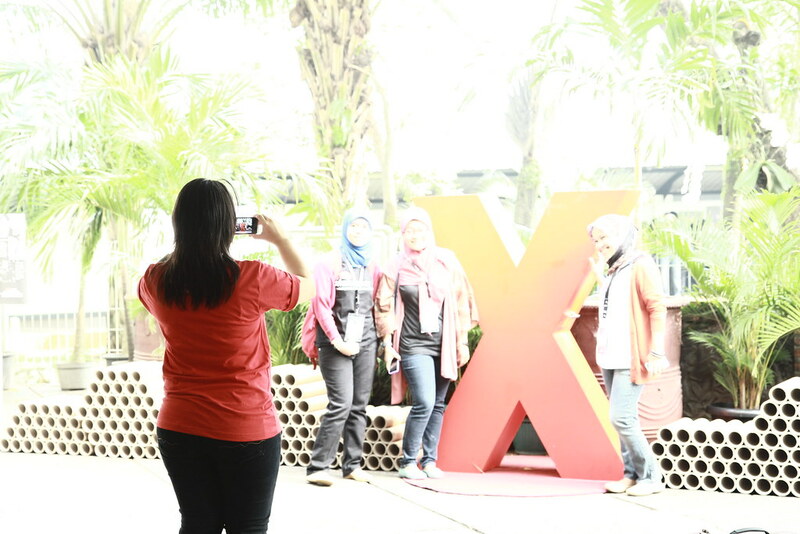 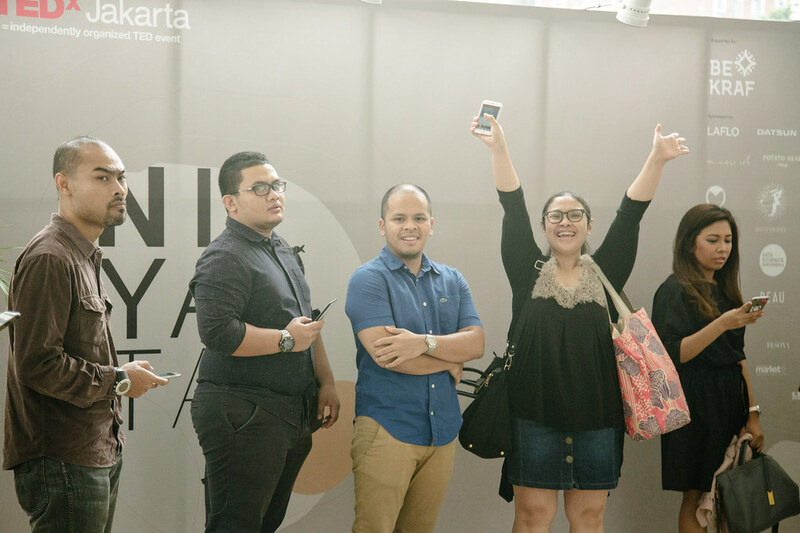 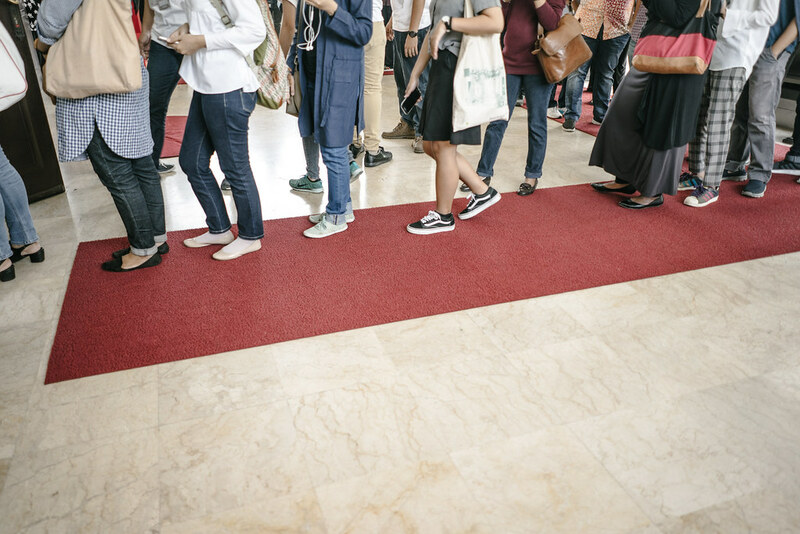 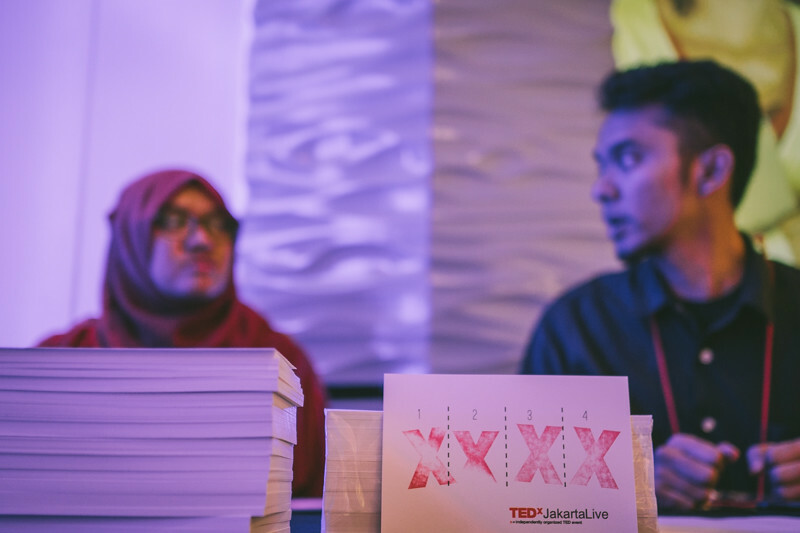 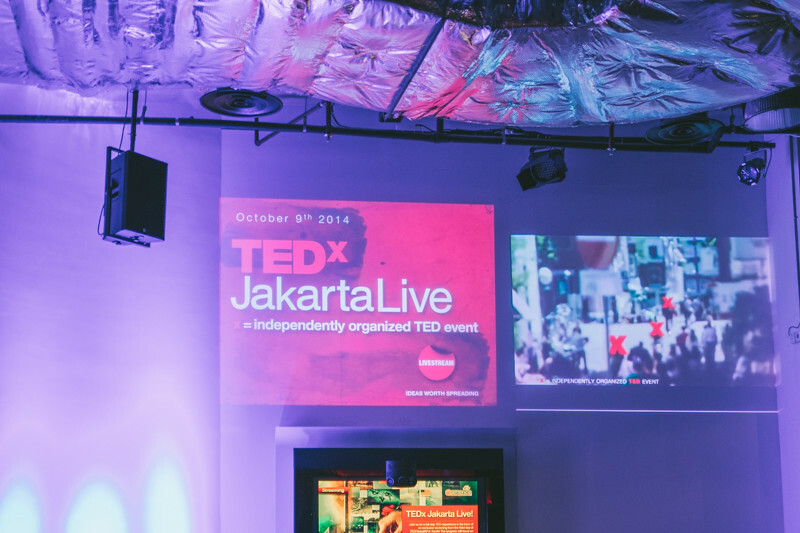 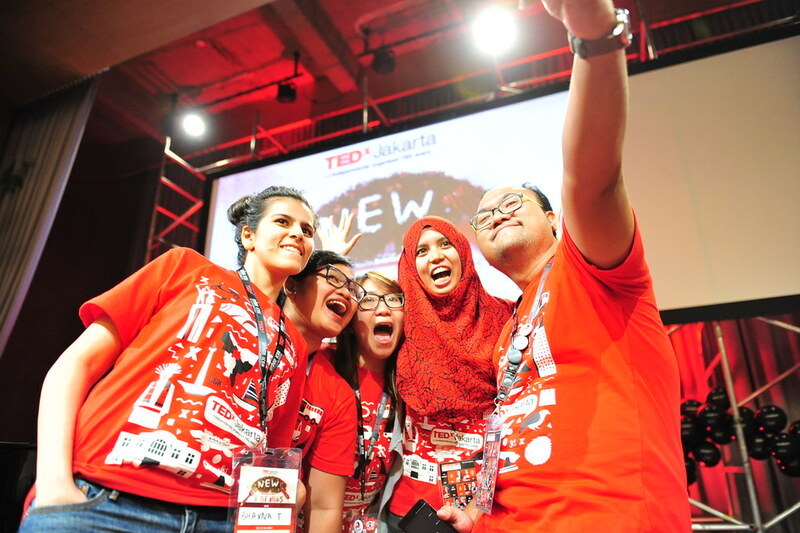 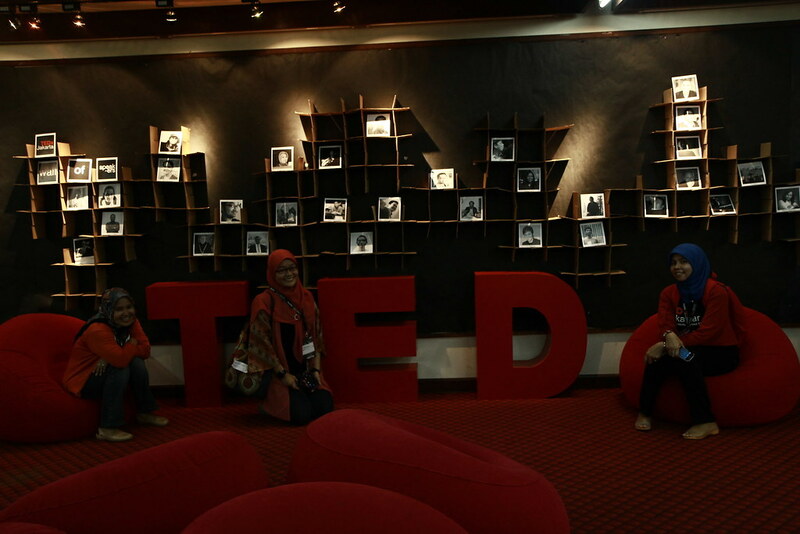 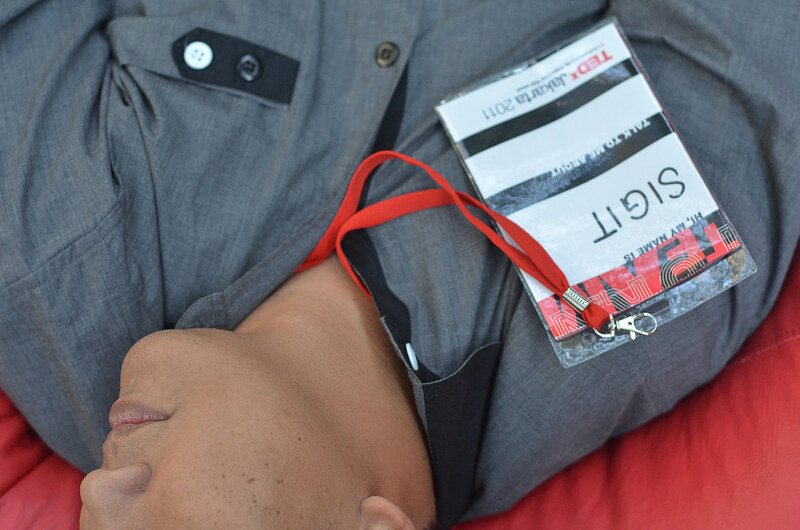 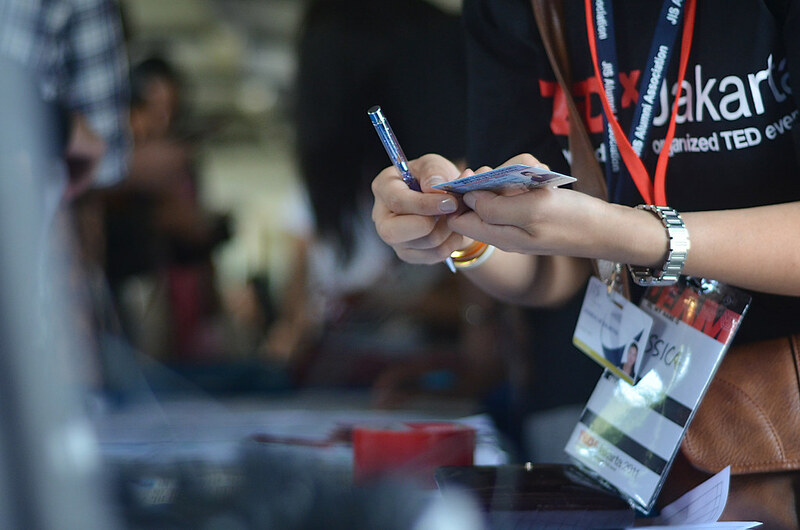 TEDxJakartaLive 2014 is a full-day TED experience in the form of a slightly delayed screening from the third day of TEDGlobal2014: South! 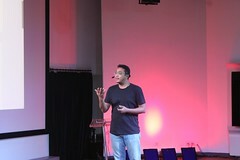 in Rio de Janeiro, Brazil. The program focuses on the Global South’s rise in influence and power — plus relevant stories from the rest of the world. 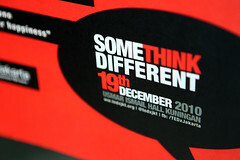 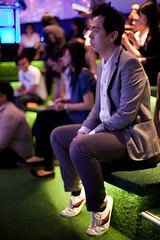 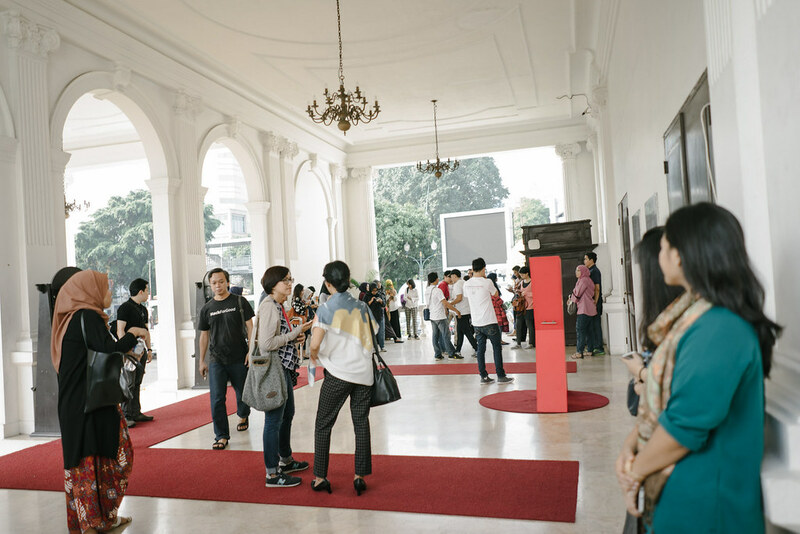 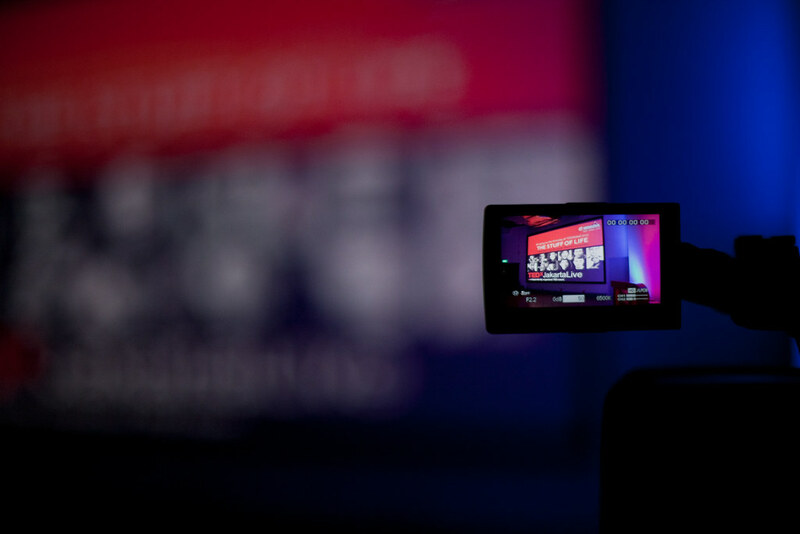 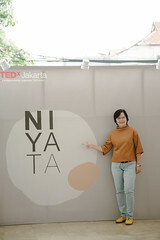 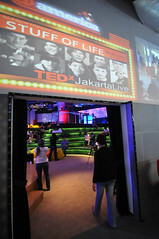 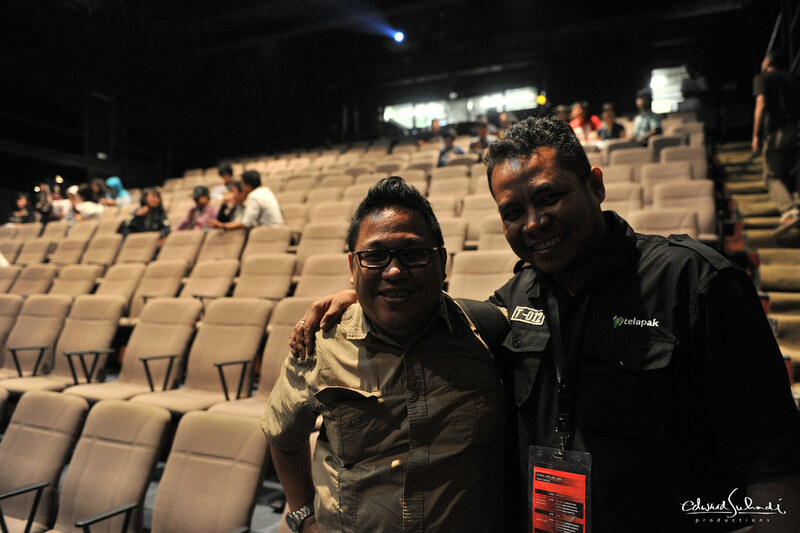 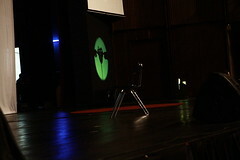 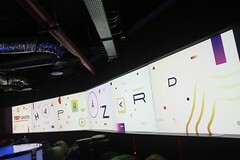 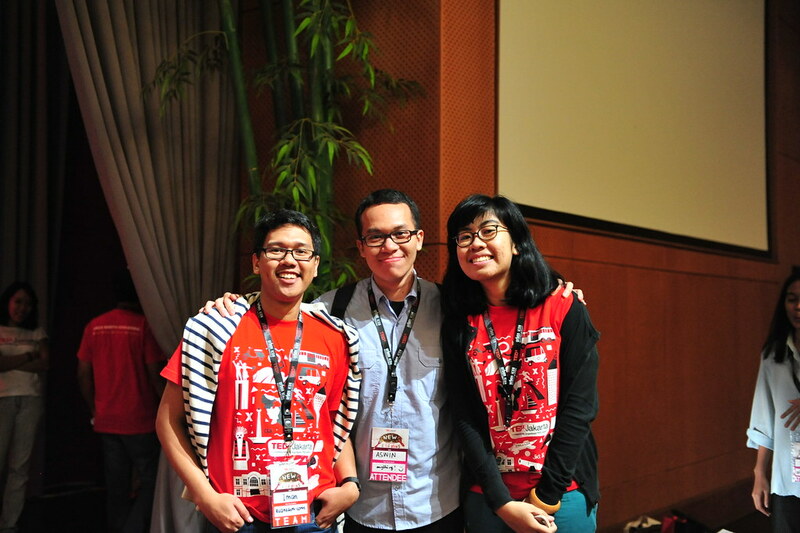 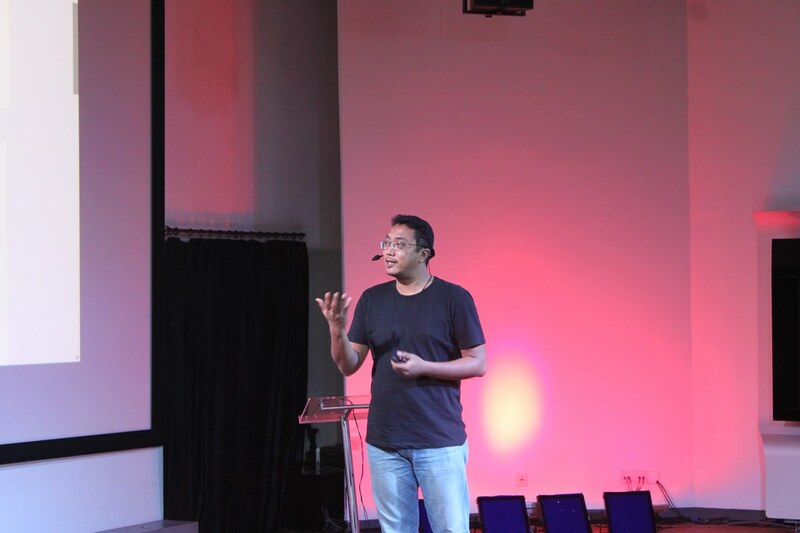 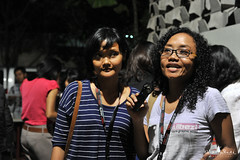 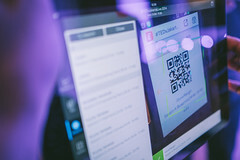 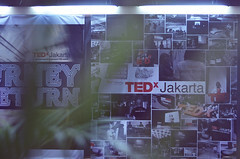 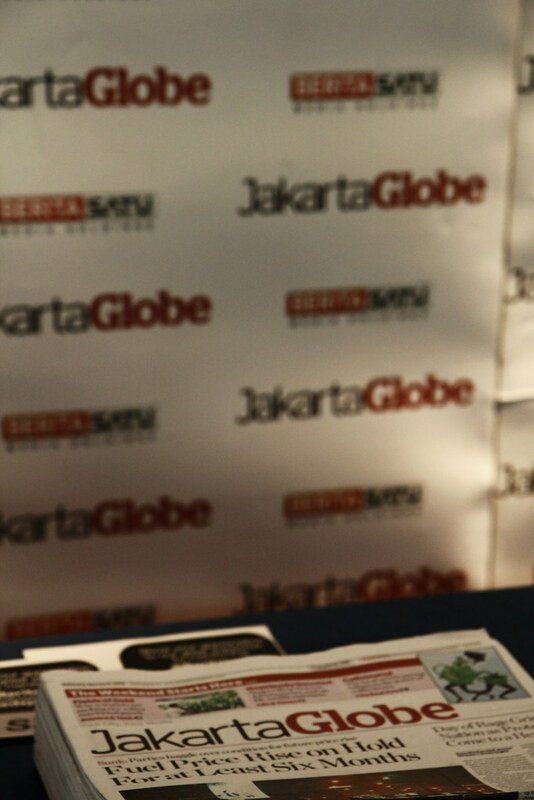 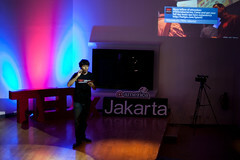 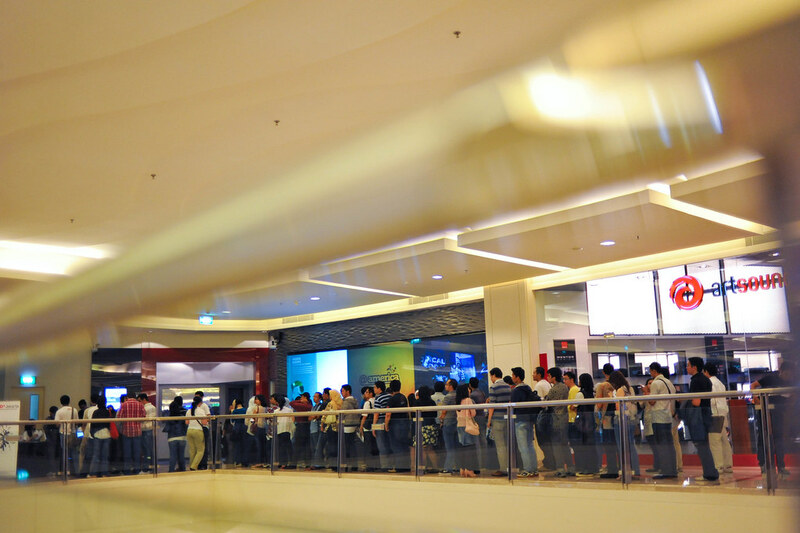 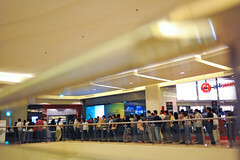 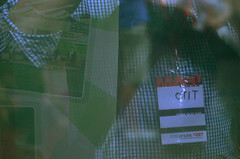 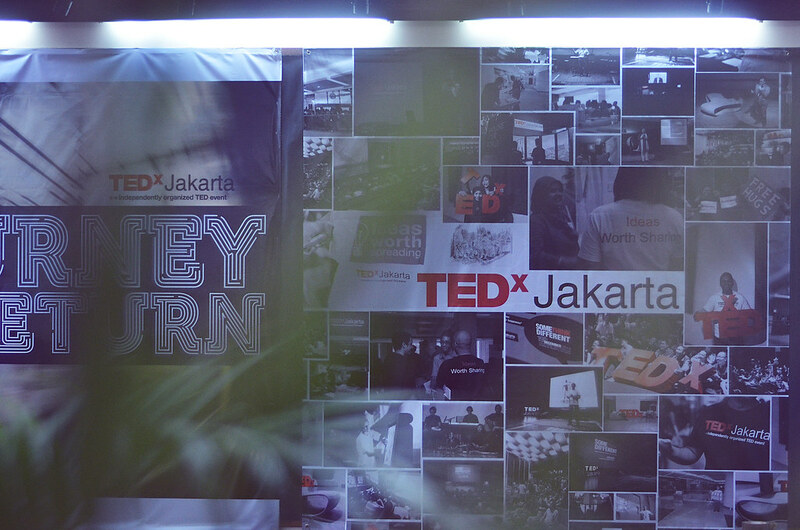 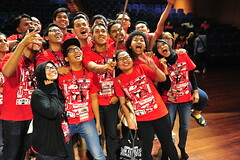 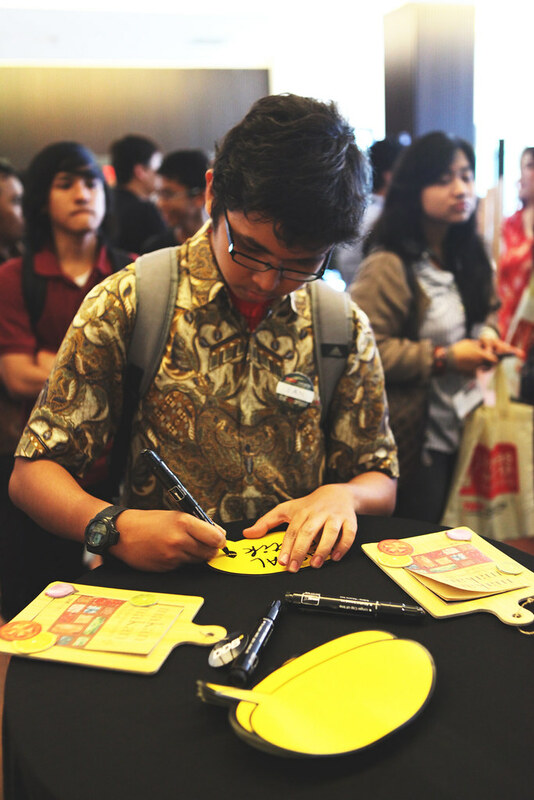 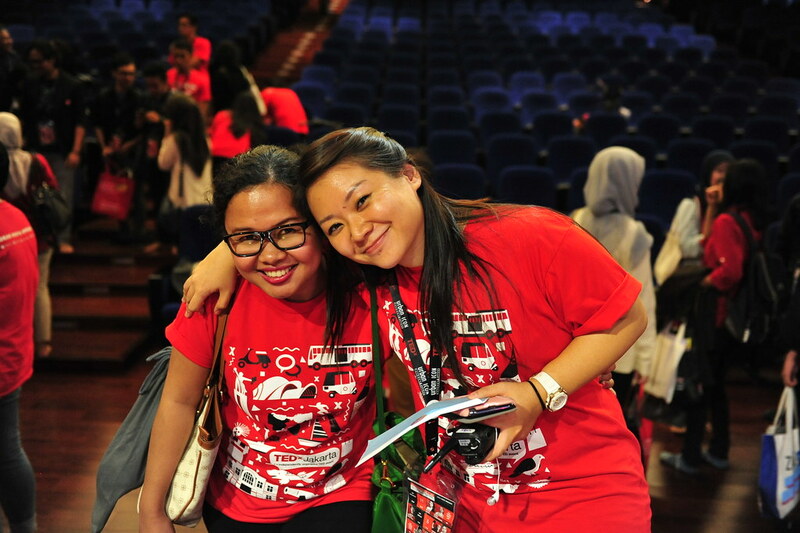 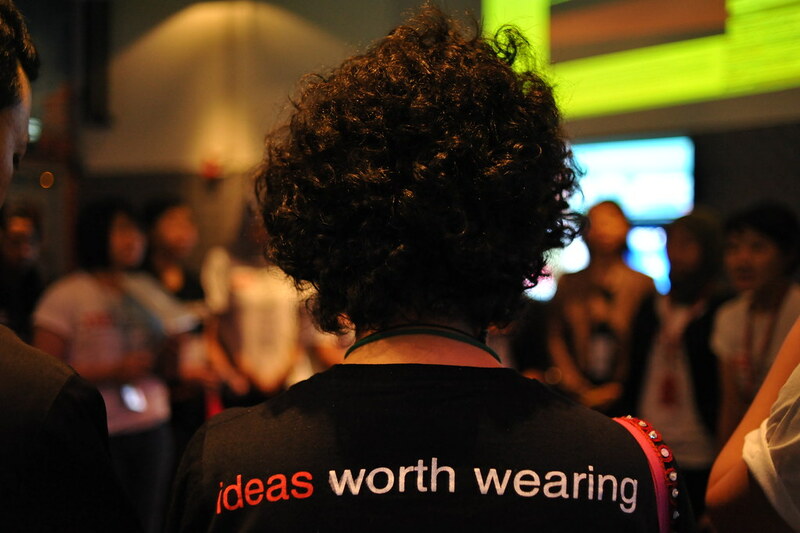 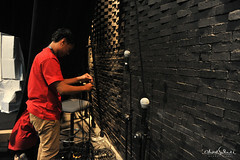 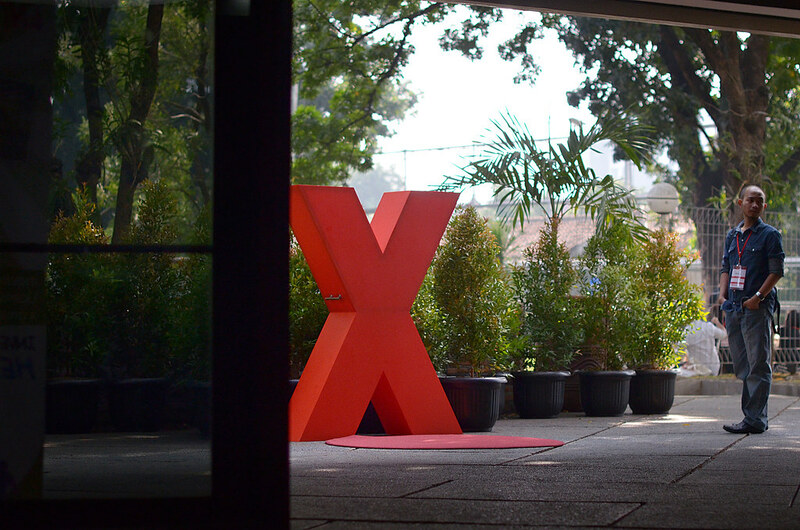 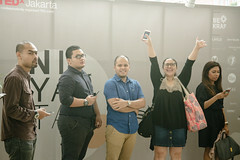 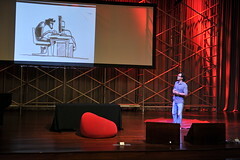 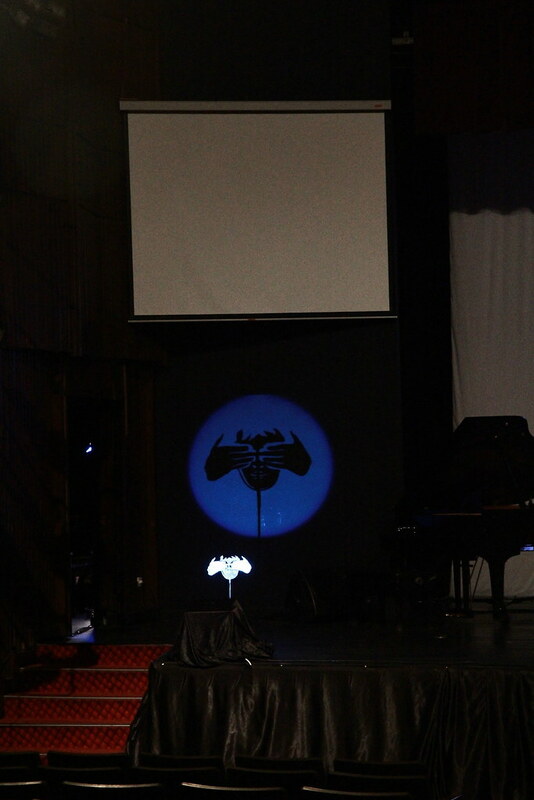 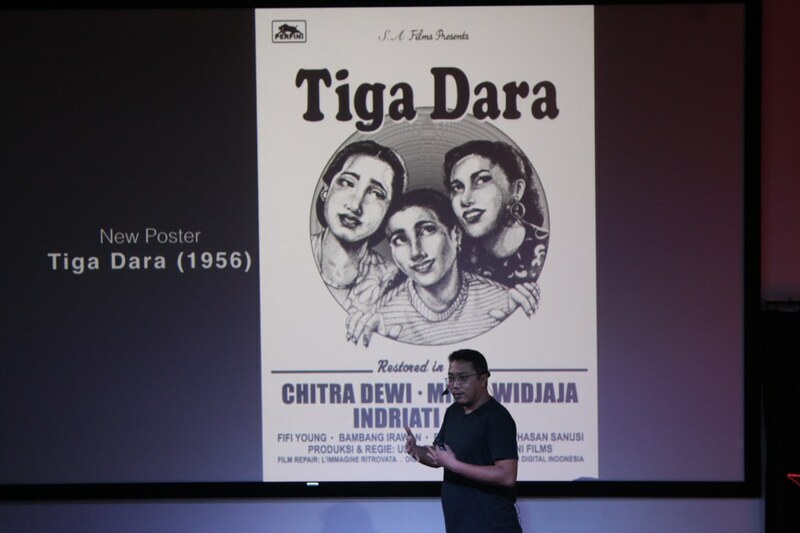 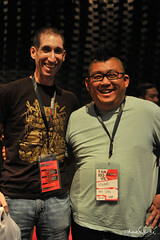 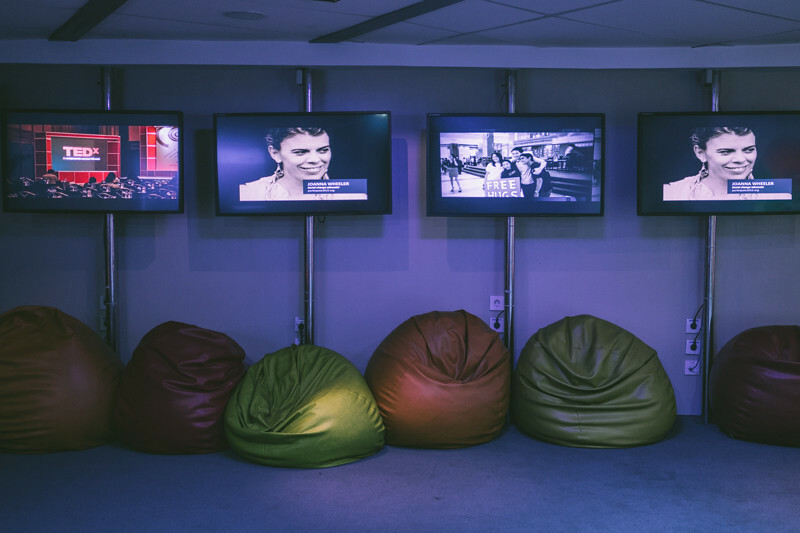 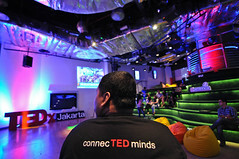 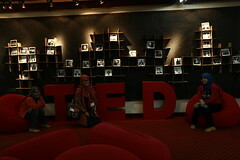 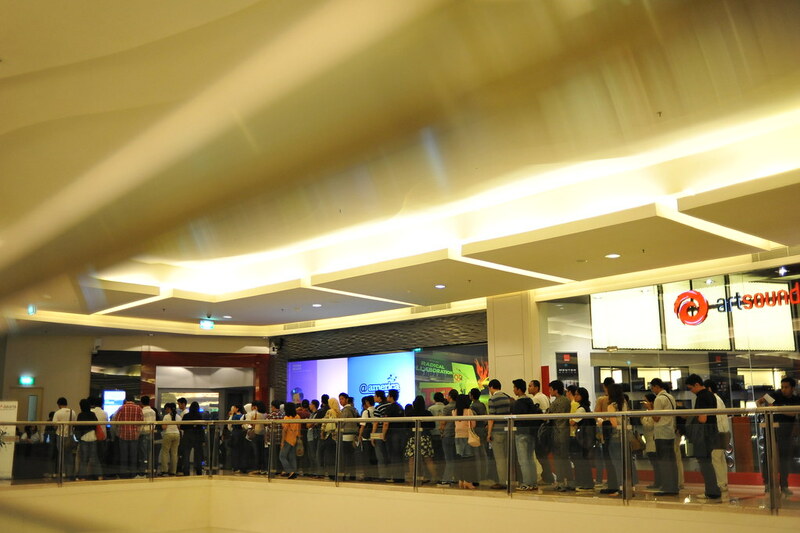 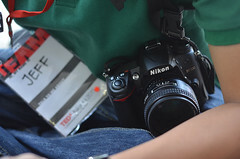 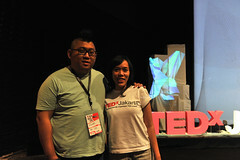 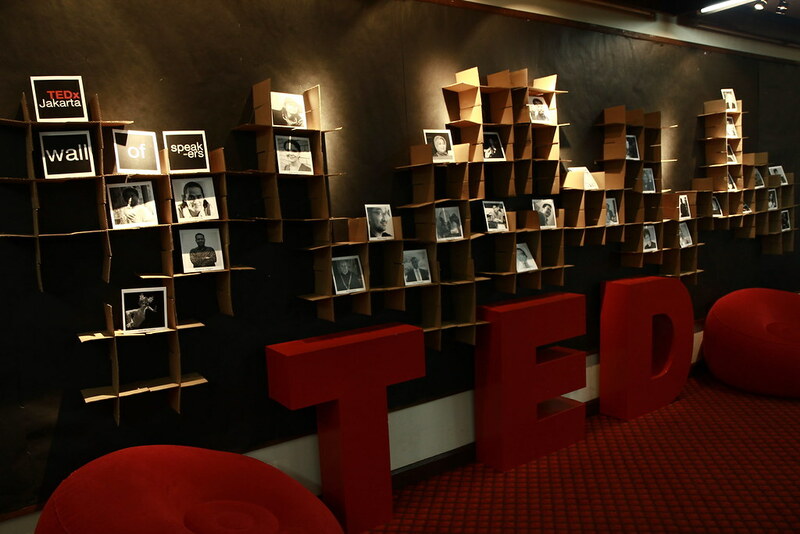 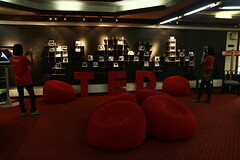 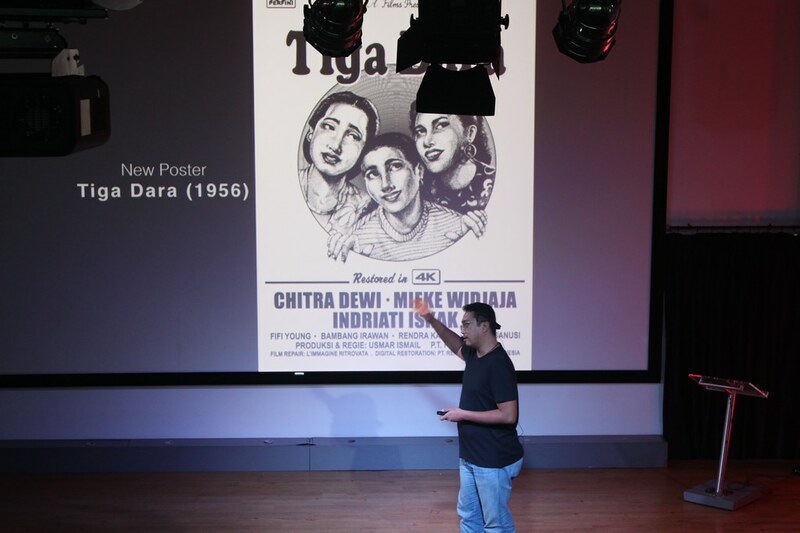 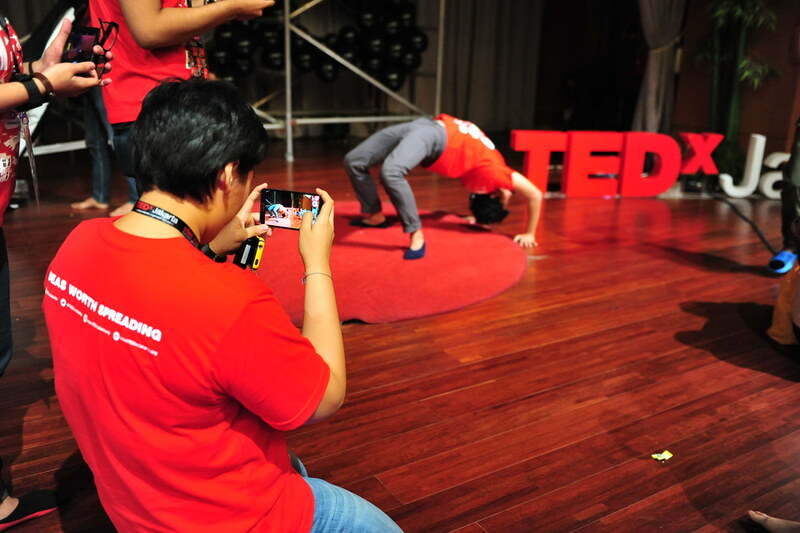 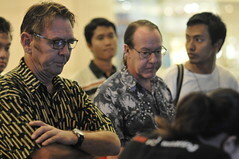 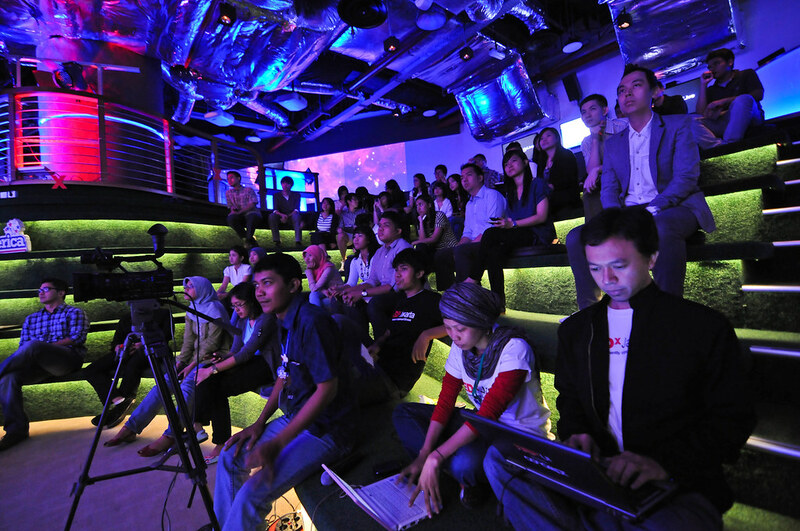 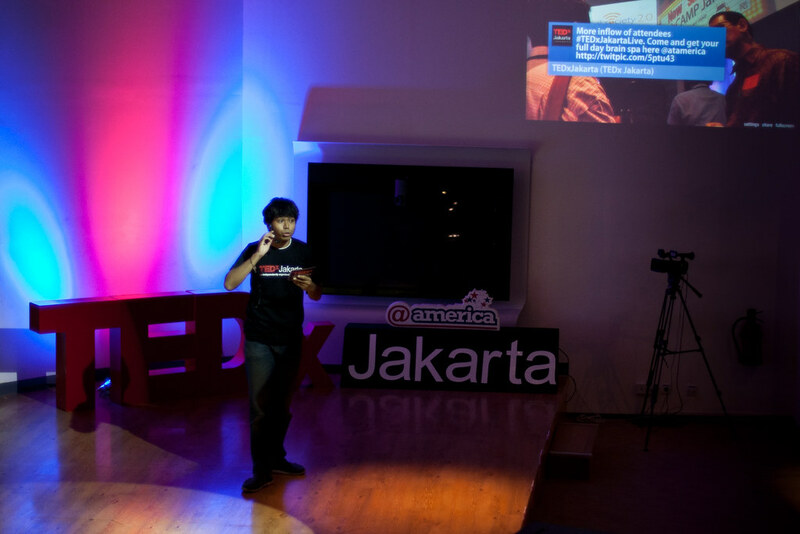 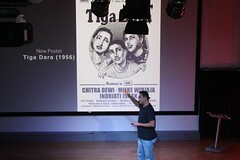 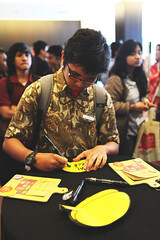 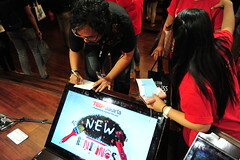 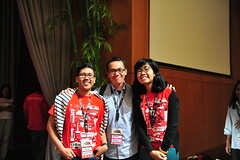 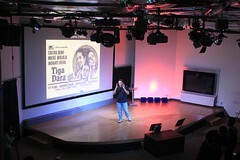 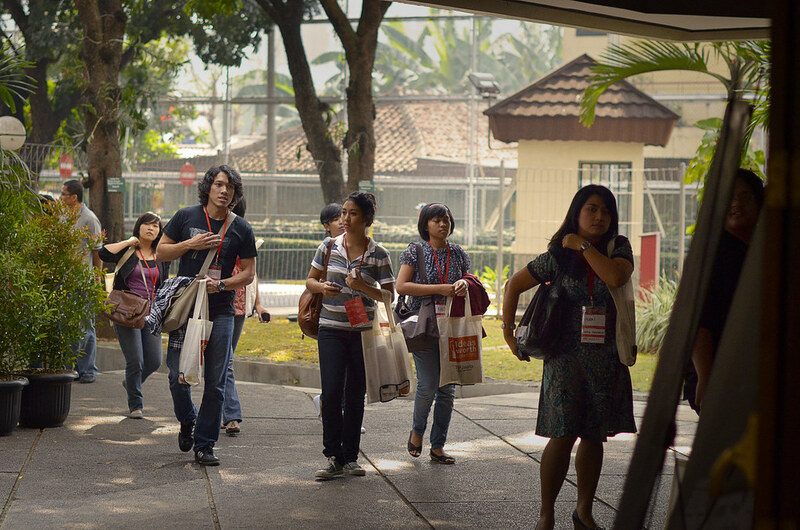 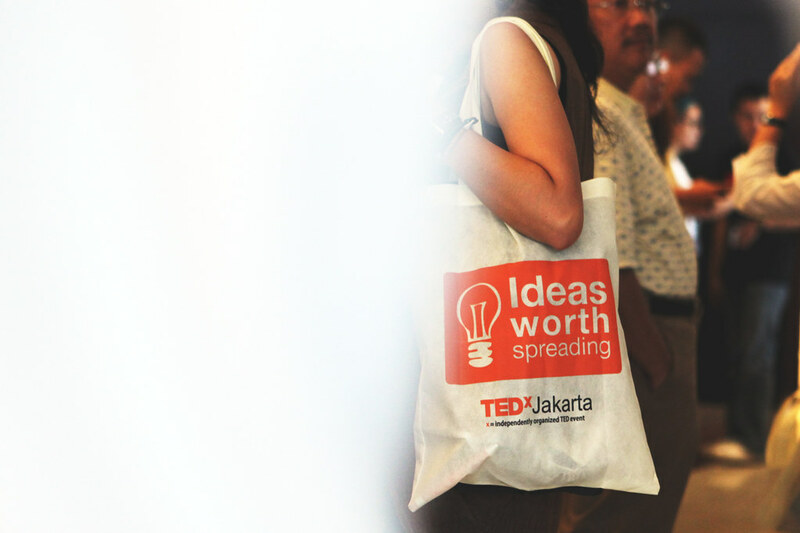 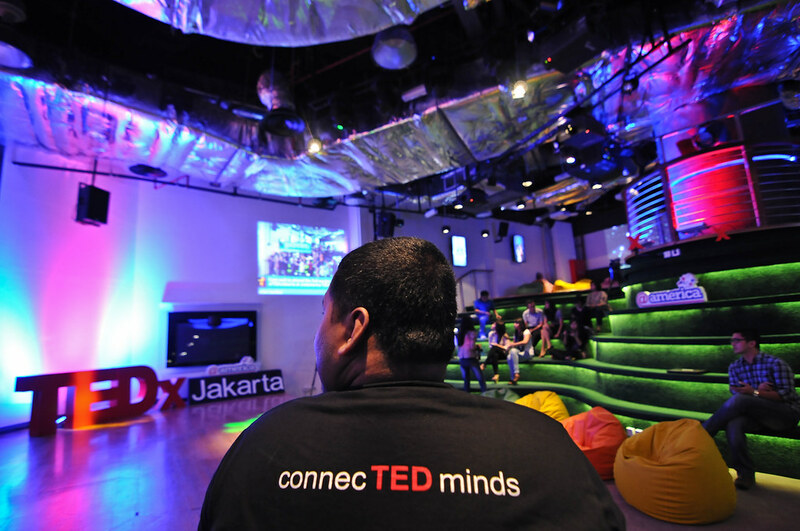 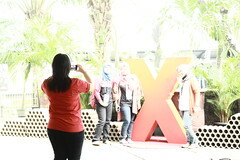 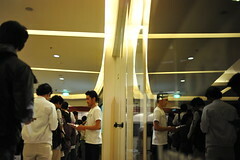 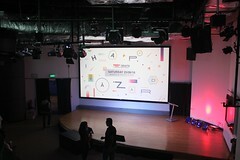 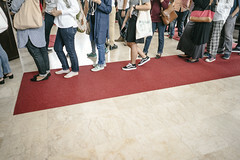 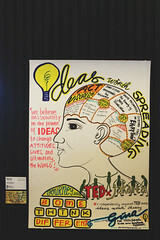 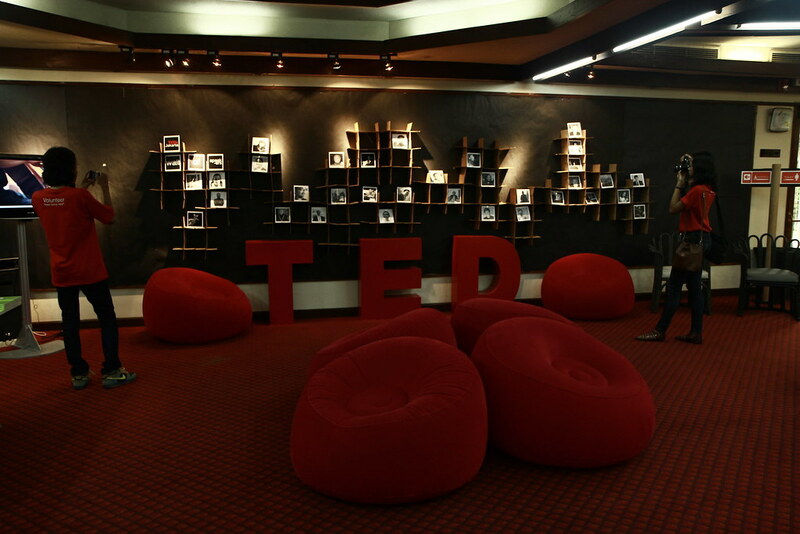 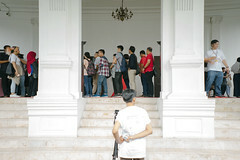 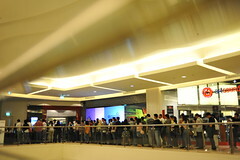 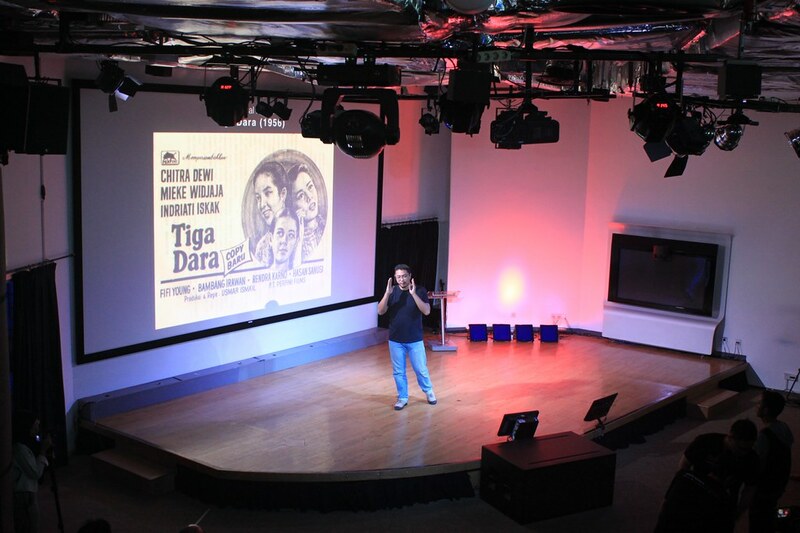 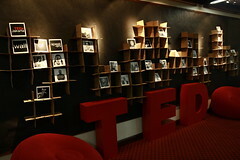 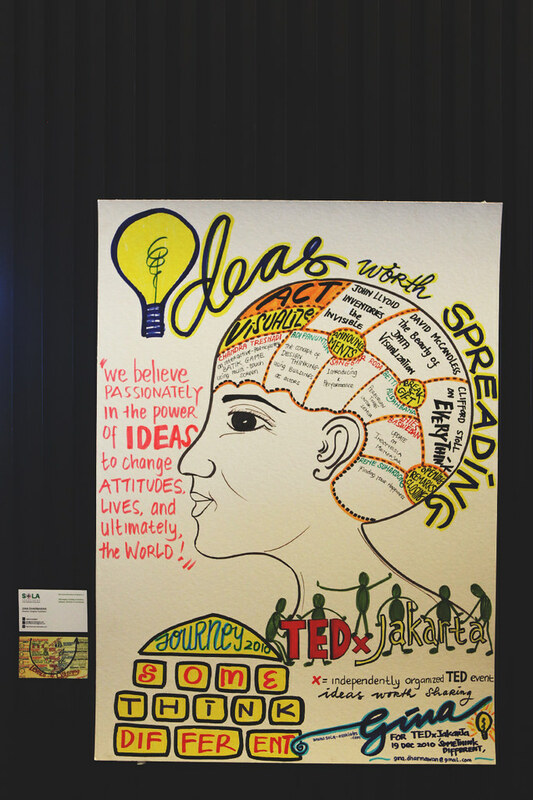 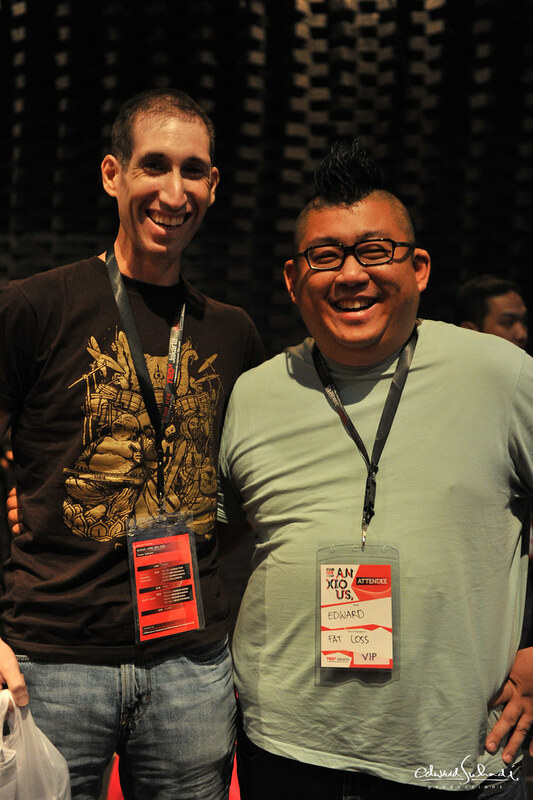 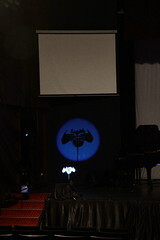 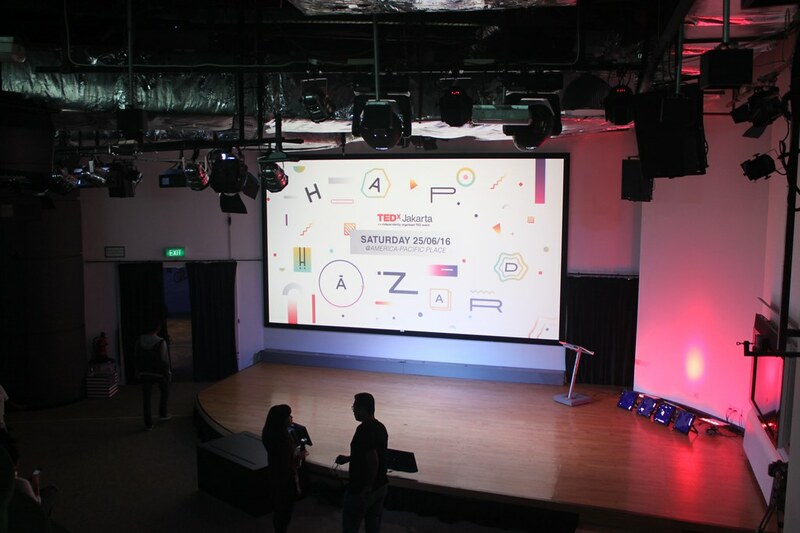 On July 2011, TEDxJakarta brought a full-day TED experience in the form of a slightly delayed live screening from the second day of TEDGlobal2011: The Stuff of Life. 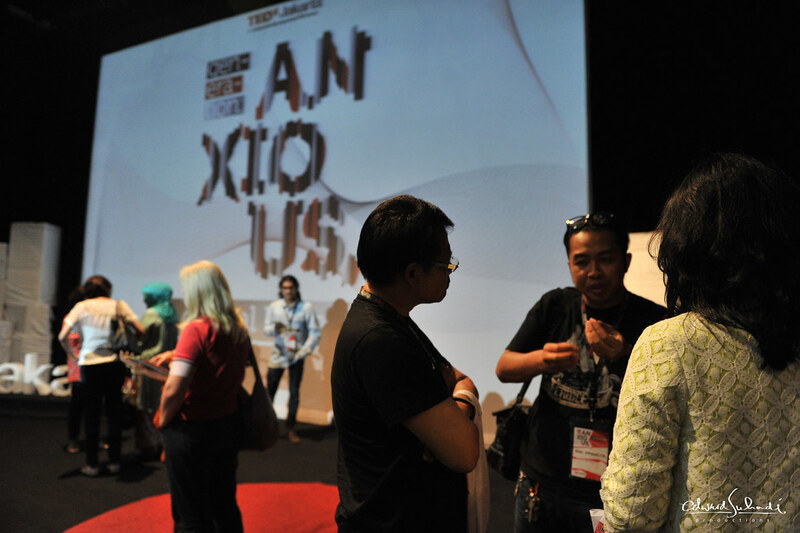 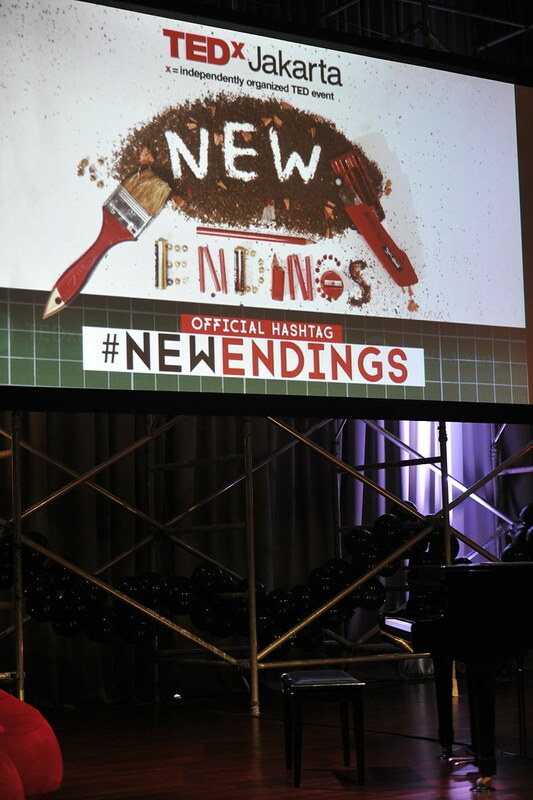 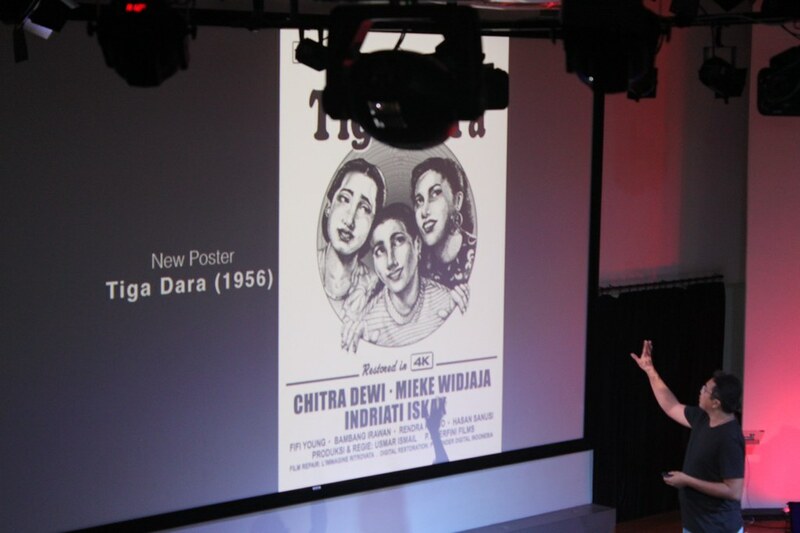 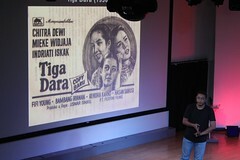 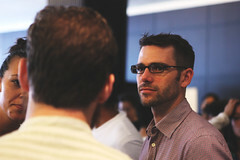 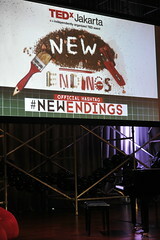 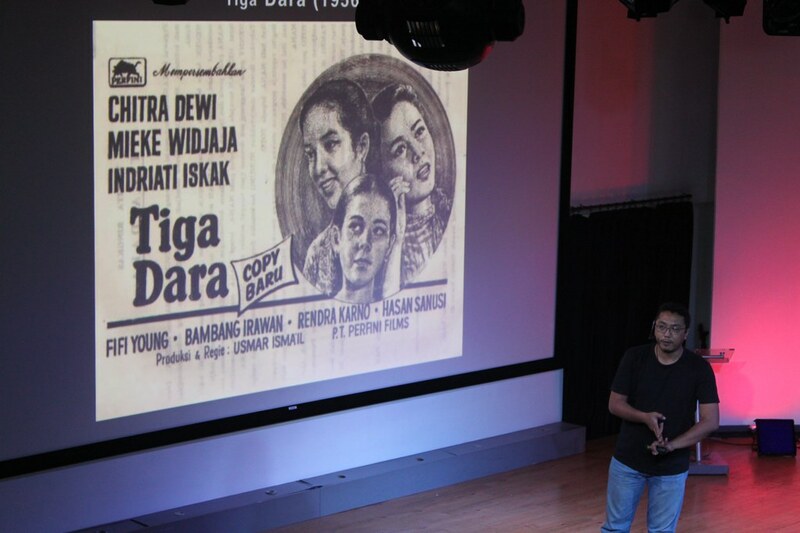 In this event, we screened never-before-seen talks that are not yet available to public. 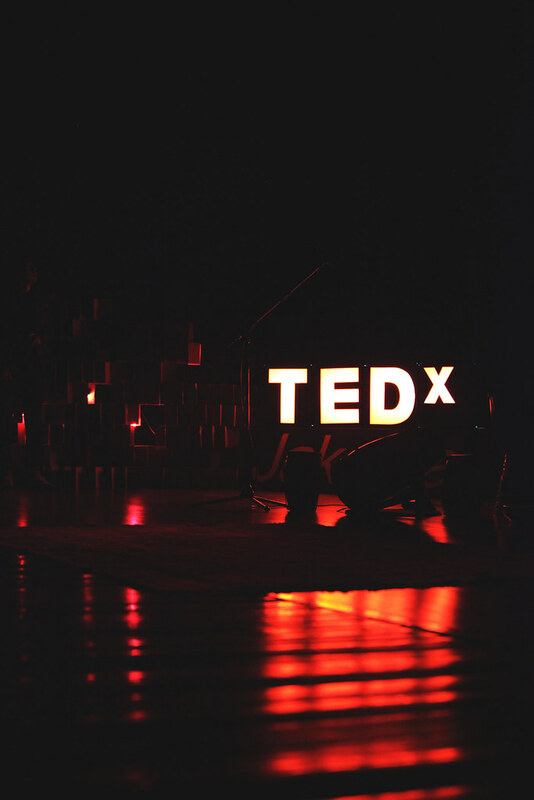 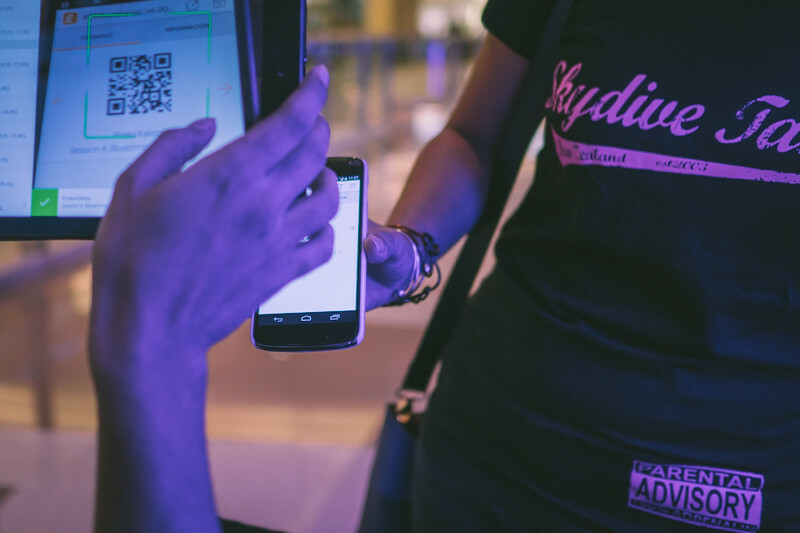 Speakers from various fields such as techno-illusionist, rational optimist, and even underworld investigator will be sharing their ideas in the topics of: Future Billions, Emerging Order, The Dark Side, and Bodies. 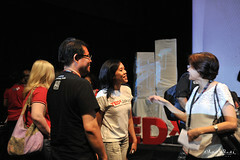 TEDxJakarta brings you the TED experience in the form of a slightly delayed screening of the second day of TED 2011: The Rediscovery of Wonder that will also take place in March 2011. 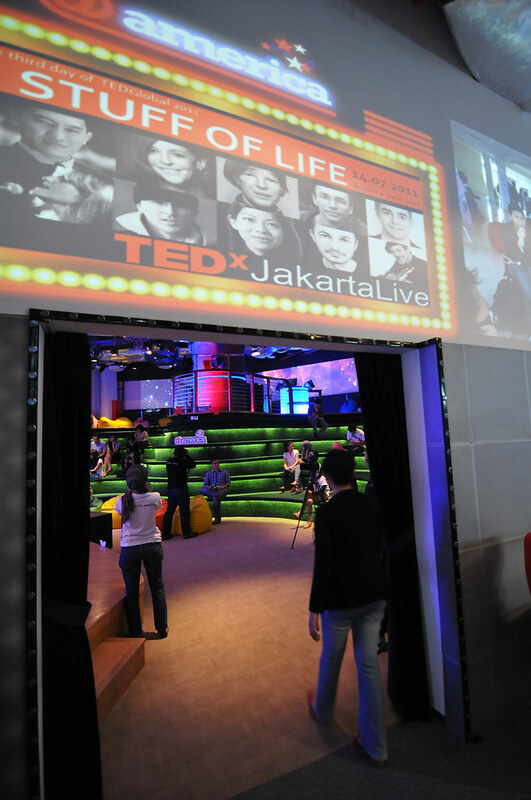 This event will be a screening of never-seen-before videos and not available to public talks from speakers such as Bill Gates and JR. They will be sharing their ideas in the topics of: Deep Mystery, Worlds Imagined, Knowledge Revolution, Radical Collaboration.